DONATE FOR A CHANCE TO WIN A CUSTOM PARVUM GAMING PC FROM GAMECHANGER & NVIDIA! THIS CONTEST HAS BEEN EXTENDED!!! YOU HAVE UNTIL 11/7/2017 FOR YOUR CHANCE TO WIN! NVIDIA GeForce and GameChanger Charity have teamed up to offer a custom gaming PC to the global online community! All donations $5 or more will be entered into the drawing. 1 lucky winner will receive the Ultimate GeForce PC from NVIDIA, 50 of you will get a GeForce GTX USB drive, and hundreds will get game codes and other hardware! Months ago, the GeForce team decided the GeForce GTX 1080 Ti deserved a PC worthy of the power and design our top-tier GPU brings to gaming. So we went to our friends at PC case maker Parvum with one request: create the Ultimate GeForce PC, and make it glorious. As I think you’ll agree, they delivered. This one-of-a-kind powerhouse is custom-built out of milled aluminum. It’s smaller than most ATX chassis, yet feels incredibly dense at 48 pounds. It’s the Ultimate GeForce PC of our dreams. How can you get your hands on one? We’ve partnered with GameChanger charity to raffle it off, with all proceeds going to help ease the suffering of children facing life-threating illnesses using technology. 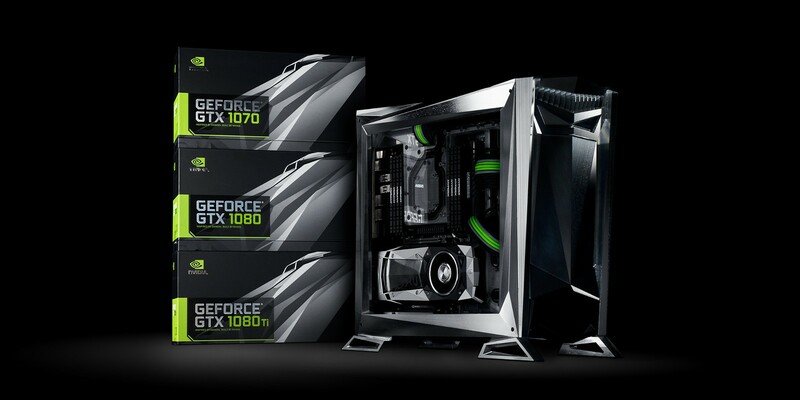 NVIDIA GeForce has partnered up with us to host this Ultimate GeForce PC drawing to benefit GameChanger Charity! Don't miss out on this unique opportunity to win an AWESOME Ultimate GeForce gaming PC built by Parvum and powered by NVIDIA to help a great cause! NVIDIA and Parvum built and designed a 1 of a kind custom gaming PC and you can win this simply by entering the drawing!! Special thanks to Razer and Toshiba for providing additional hardware prizing and Bungie and EA Origin for the game codes! - Donate $5 for 1 entry into drawing for custom gaming PC! - Donate $10 for 2 entries into drawing! - Donate $20 for 4 entries into drawing! - Donate $50 for 10 entries into drawing! - Donate $100 for 20 entries into drawing! We’ve added some amazing lottery prizes for all donation levels! We will randomly select four winners of Brand New Toshiba TR200 480GB SSDs for $10, 20 and up! Chance to win a GeForce GTX 1070 and chance to win Kraken Pro V2! One lucky $10.00 donor will win a copy SIMS 4! Chance to win 1 of 50 GeForce USB Drives! EA has generously donated 100 codes for Star Wars Battlefront 2! Entire catalogue of Telltale games. We will also be giving away 25 codes for Destiny 2! 3 sets of Razer Kraken Pro V2s for runnerups. 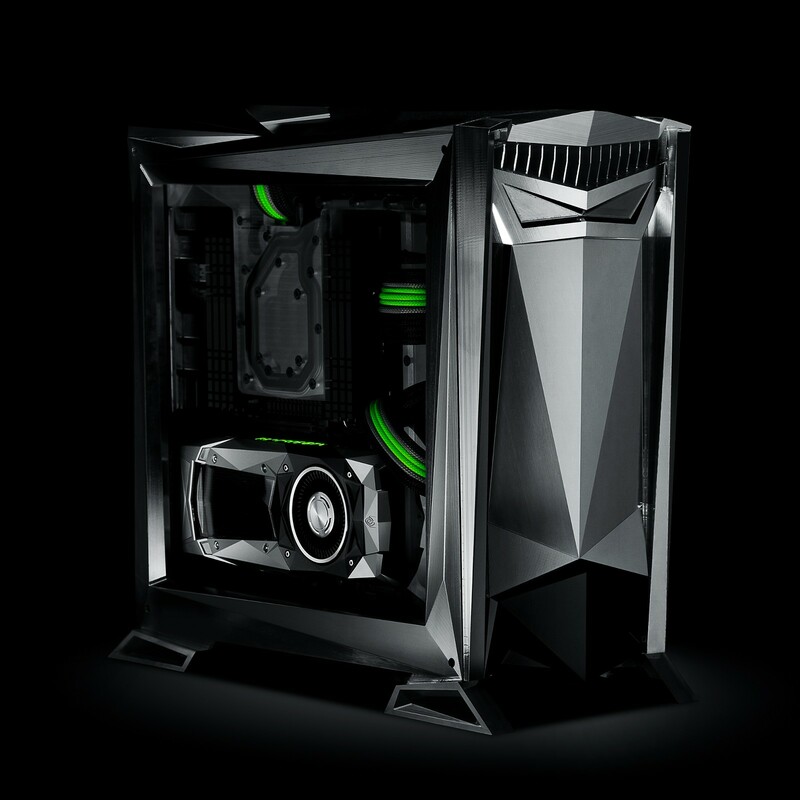 1 Ultimate GeForce PC from NVIDIA! 1 full suite of Razer Gunmetal accessories (BlackWidow X Chroma, Lancehead TE, Invicta and Kraken) for the person who wins the PC!!! **All game codes will be emailed during the week of November 13th! All physical prizes will be shipped out 2-4 weeks after the end of the campaign on November 7th. Donations at higher levels are also eligible to receive the incentives offered at lower levels (ie all $10+ donations receive a game code, $50 donations are eligible for all lower level prize incentives). - Spread the word about the campaign & tell your friends!